When dealing with a large inventory of artifacts, the right compact museum shelving is essential. Find out how Systems & Space can help you uncover additional space. 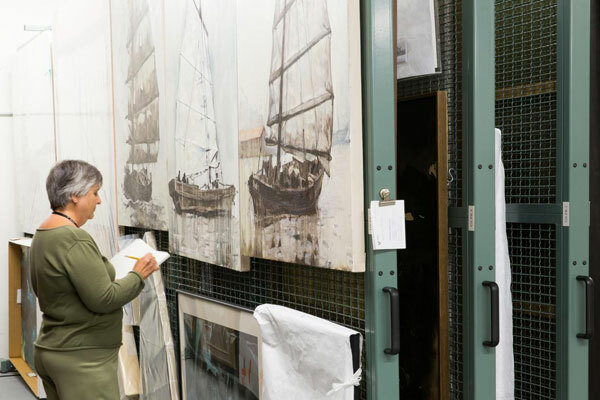 Whether you’re dealing with a collection of a thousand artifacts or a million, we understand that having enough space for that collection—and being able to take care of it properly—is the #1 priority for museums. We’ve been fortunate to partner with a number of museums in the Northern California area, with the goal of helping them find the right compact museum shelving to fit the needs of their current collections, and help them plan for the future. 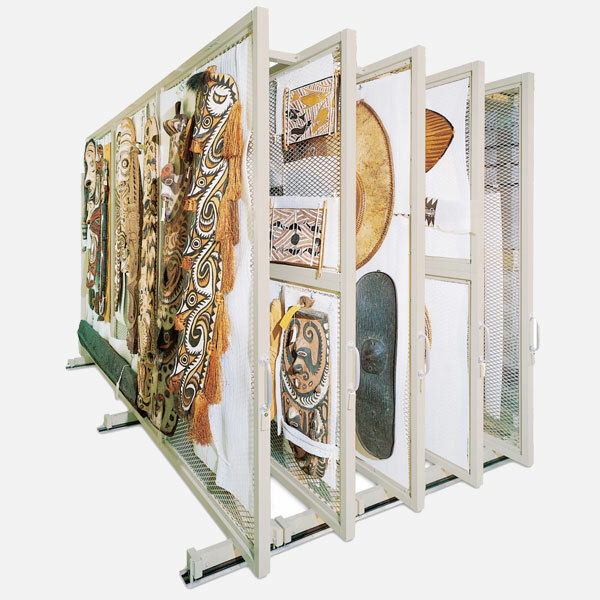 Spacesaver’s Art Rack systems are a secure and versatile way to store and display two-dimensional art. Each rack can hold double the amount of artwork as traditional storage, and is available in two options—ceiling mounted or floor mounted. Both options offer high-density storage paired with easy operation. Low Vibration: The overhead ceiling track works with guide bearings and a frictionless roller-bearing trolley system to subject artwork to low vibration. Sway Prevention: With an anti-sway guide wheel mounted at the base of each panel and a floor-anchored guide mechanism at the rear, screen sway is eliminated when system is in use. Controlled Deceleration: A unique deceleration devise slows panel motion during the last 15” of movement. The result is a reduction in jarring stops. When a private art collector ran into a storage crunch in his museum, he enlisted System & Space’s help to create a solution. A high-density mobile art rack with surface-mounted rail, 37’ wide by 10’ deep by 10’ high, was installed to condense the two-dimensional art collection into a manageable inventory—complete with powder-coated handles on the system to eliminate materials that could potentially damage the artworks. Custom museum storage cabinets and casework are designed to meet any specific needs of your collection. The cabinet materials are approved and proven for museum use, with solvent free, non-reactive baked polyester powder coating. 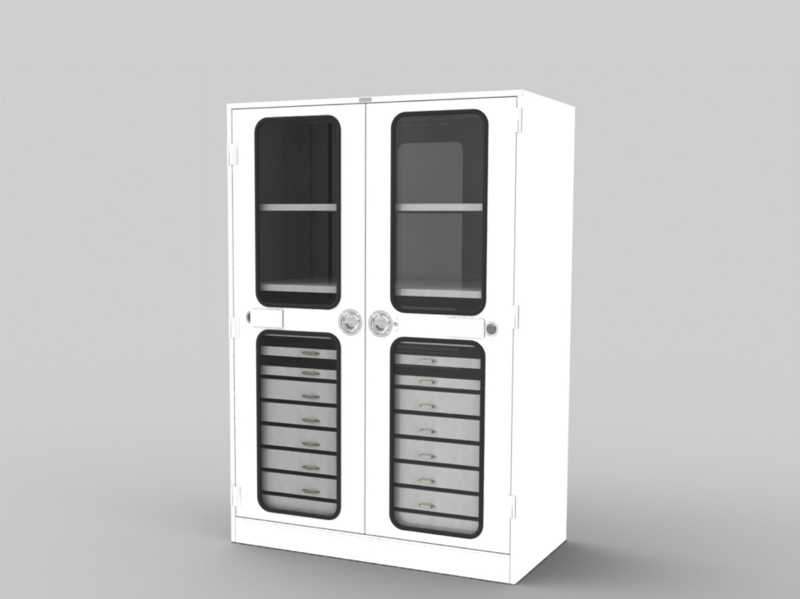 The cabinets are all steel, using .047 GA. for sides, doors, and backs, and .075 GA. for load-bearing posts, tops, bottoms, and doorframe members. The doorframes are fusion-welded for rigidity. Our cabinets provide protection through 100% controlled storage environments that maintain a constant level of humidity and temperature. The silicone seals provide an airtight storage environment to eliminate artifact exposure to dust, insects, and other particles. When space does become a factor, our compact museum shelving cabinets can be equipped with high-density mobile storage systems to maximize storage space further. Interested in seeing what organized storage can do for your museum? Download our Museum Storage Lookbook to check out the possibilities.